Our Funarena! : Cricket: Sidney’s 100th Test! Sachin’s Hundredth 100 Too? Cricket: Sidney’s 100th Test! Sachin’s Hundredth 100 Too? 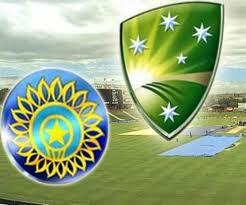 The second cricket Test between India and Australia will be played from tomorrow at Sydney Cricket Ground (SCG). All eyes are obsessively focused at the moment on this much awaited duel between the two giants of test cricket. Apart from the classic cricket rivalries the Test is of great interest for two reasons. First the celebrated Australian cricket ground in Sydney is going to hold its hundredth test match. Second Indian cricket legend Sachin Tendulkar has not yet achieved his hundredth feat—a century of international centuries. The batting maestro has a great record in Sydney with two tons and one double ton during his four series outings in Australia. 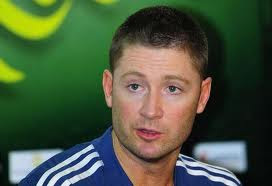 In 1992 he became the youngest ever test cricketer to score a ton in Australia. Australians fans are happy for the hundredth test at their favorite venue. They will be elated if Australia defeats India to take an invincible lead in the four-match series. Indian fans will be crazy with joy and pride if Team India win and level the series. And, all cricket lovers of the world will definitely relish the historic moment if Sachin Tendulkar achieves the epic milestone. 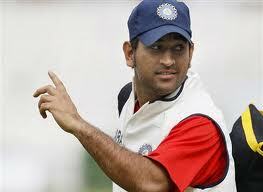 Indian skipper Dhoni has been down, but not out. He has to make a point or two while leading his team. The famed batting line-up must deliver for any chance of winning. Apart from Sachin SCG has been a favorite hunting ground for VVS Laxman too. The pitch here too is friendlier than Melbourne or Perth and historically it favors spin bowlers. The curator of SCG promises that the pitch would favor both the teams equally. A big match indeed it’s going to be—a blockbuster so to say! Considering the fact that the two teams have come to Sydney after the most controversial test played in 2007-08 series here. That was also the second test starting 2-6 January with India being drubbed as usual in the first test. This test witnessed 11 huge umpiring errors—10 going against India. Steve Bucknor who delivered most of the blunders never umpired again. Then, there was the racist bout between Andrew Symonds and Harbhajan Singh. One Australian newspaper reportedly wrote that it would not support for Sachin’s feat, because Sachin favored Harbhajan in that black abusive duel! That test would never be forgotten thanks also to the twist in the last day when India crumbled in just two sessions turning a to-be-drawn match on its head. One more interesting fact--Australia won that test by 122 runs! Remember Melbourne? Dare miss the Blockbuster? The Test starts at 5am Indian time. Go to sleep early tonight and get ready! I'm not much of a sports fan, but this sounds as though it will be an exciting event.